I first saw The Office back in 2005, a time when reality TV was rising in popularity. I didn’t see the British version beforehand (I watched it a few years later), but even beforehand was no doubt the first season of The Office was flawed even without being compared to the original. While darkly humorous, the show’s characters weren’t well sketched out. But NBC made a wise decision by renewing the series and the result was the network’s best show since Seinfeld. Despite being a remake, The Office became a blazingly original series that remains one of the best sitcoms to hit television screens. The Office will be ending soon, today actually. The show has gone on so long, about nine seasons that I’m amazed it’s managed to stay on air. While the last few seasons have been repetitive, The Office retains its cultural influence on the television world. The British version of The Office, crafted by Ricky Gervais and Stephen Merchant, was a black comedy that came off the heels out of Larry David’s Curb Your Enthusiasm. It was a sitcom full of cringe humor, relying on Gervais’ David Brent, the boorish boss of a paper company trying to show off to a documentary crew. NBC picked up the remake, considered an ill decision by most TV representatives. Earlier, NBC’s remake of another British series, Coupling, bombed, plus critics believed that the new Office couldn’t live up to its predecessor. Not to mention it would be a single camera show, a format still unexplored at the time (with a few exceptions such as Arrested Development). NBC hired Greg Daniels, who worked on The Simpsons and created King of the Hill with Mike Judge, to develop the series, giving it a big name, and Steve Carell, who starred before on The Daily Show, was cast as the star. The series had much potential then and audiences were eager to see how it would turn out. The first season, while funny, was flawed. The characters were the same, but felt like imitations. Steve Carell’s Michael Scott originally paled in comparison to David Brent. But by its second season, the show branched out. Jim and Pam’s relationship became the romantic core of the series, as it was in the original, but perhaps the biggest (and best) change came from Michael Scott. Daniels changed Scott from the heartless Brent and made him a more relatable and likeable character. Brent was a cunning, self-obsessed boor. Viewers weren’t supposed to like or sympathize with him. Michael, on the other hand, was like most people. Sure, he tried to make himself look good in front of the camera, but he was really a lonely guy searching for friendship and companionship. Along with this adaptation along with Carell’s performance, Michael Scott became one of TV’s strongest characters. From seasons two, The Office took Arrested Development’s reigns as TV’s best sitcom and held them until season five. It was not only a comedy but also a drama. Its relationships were real and believable. Its characters were relatable. It was funny, sad, angry, and moody. Daniels experimented with this in King of the Hill and he was clearly the right man to head the remake. In fact, I would argue that The Office surpassed Gervais’ version, as good as that was, because it became something else. 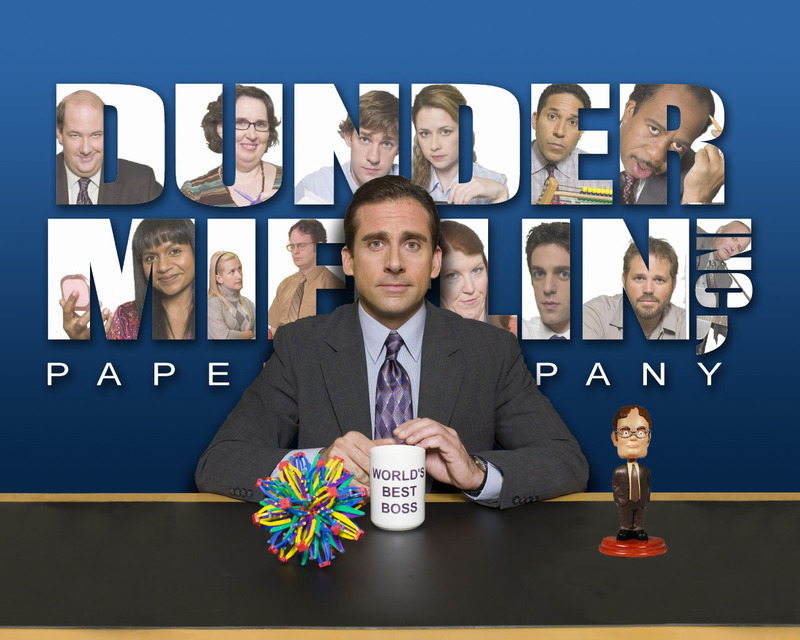 The Office soon became one of the most influential shows on television. It became NBC’s crown jewel during a time when the network was at a distant fourth place. It inspired a whole new slew of single camera sitcoms and solidified the formula. Without The Office, audiences wouldn’t have Parks and Recreation, 30 Rock, Modern Family, or many other TV shows. So where does The Office go now? I suspect that the series will take a final bow, honoring the characters audiences have come to know and love. The series will leave a mark on television that cannot be easily replaced. I’ve heard so many good things about this yet I’ve never seen a single episode. Shame on me. The show’s great; definitely one of my favorite sitcoms. Thanks for commenting. Great write up. You nailed it with the comparisons to the original British show. I’ve never seen the original British show, but I’m a huge fan of the American version. Sad to see it finally go, though it has been gradually dying out during the last few seasons. The British show is great though I prefer the American version. The show’s declined over the past few seasons, but I’m sad to see it go. Thanks for commenting. Well done, like Seinfeld it will leave on a good note. Thanks! Hopefully the show ill have a worthy finale. Thanks! The US series is great and I like it even more than the British series. Thanks! It’s far past its prime but it’s sad to see the show go. I’m excited to see it as well. This is no doubt one of the most hilarious shows in the last decade. Steve Carrell is such a comedic gem. Even his expression is hilarious! Loved the series. I would say it’s the second best sitcom of the past ten years after Arrested Development. damn, completely forgot. thanks for posting! of course, i did not see the epi tonight but i’ll make sure i get to seeing it. also, i haven’t seen much of this last season so maybe it won’t make a lot of sense and there’ll be tons of spoilers in there but so be it. hopefully this farewell epi does the entire show justice. it deserves it. I love The Office and was glad to watch it. Stuck with it through the tough parts,but it definitely will always be one of my faves to watch and rewatch! I stuck through it with the last few seasons. I used to watch season 3 and 2 a lot on DVD. Thanks for commenting. Perfect inclusion for your series. I love this show, even if the last couple seasons were a chore to sit through (for the most part). Last night’s finale reminded me why I liked it so much, and it was a fitting send-off. Thanks! I saw the finale and thought it was a great episode. I’ll be writing a review shortly. This used to be my favorite show on television. Then Season 8 happened. You might lay the blame on Steve Carell leaving, but it was also the way the writers tweaked the formula. Andy’s promotion and James Spader as Robert California didn’t help but Nellie Bertram was the worst. The way she emasculated Andy completely alienated me from that sitcom. I choose to believe the series ended after Season 7. It had a great run. Season 8 was pretty awful and while season 9 was an improvement, it wasn’t much better either. My biggest gripes with the show in the show were James Spader and Catherine Tate’s roles, as well as the character Erin and Andy. I felt the writers changed Andy so much over the past few seasons that they changed him from a likable coworker to a Michael Scott-clone boss to an irritating jerk. Still, the show’s strength makes up for its faults in the past few seasons. Thanks for commenting.